That summer prior to her sophomore year, Cannon had her first taste of what a career in the music business could look like, and solidified her desire to bring this dream to fruition. 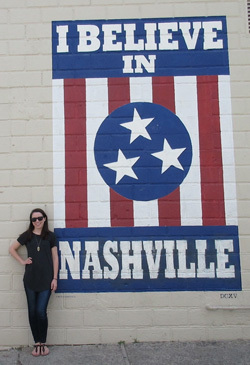 She enrolled in a six-week music copyright law course at Belmont University in Nashville, Tenn. While there, she volunteered with the media at the Country Music Association (CMA) Festival, a large-scale concert series held at Nissan Stadium (then LP Field). She loved having the opportunity to see all of the behind-the-scenes operations of such a huge production. Back on campus last year, Cannon continued to build on this experience by serving as chair of the Union Activities Board (UAB) Leisure and Entertainment Committee. She coordinated all of the entertainment at NC State’s Campout, an annual school spirit event that marks the beginning of Wolfpack basketball season, and re-established the UAB’s monthly karaoke nights, held in the newly-renovated Talley Student Union. Eager to foster opportunities for other students who share her passion for country music and the music industry at large, Cannon secured the Country Music Association’s endorsement to launch a chapter of its college outreach program, CMA EDU, at NC State. Through this initiative Cannon attended the past two CMA EDU Executive Summits, which bring together student leaders from universities nationwide. 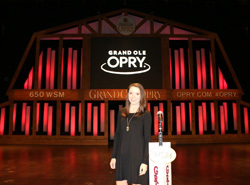 This past summer, Cannon returned to Nashville when she landed a twelve-week internship with the Grand Ole Opry. She received support for this experience from a Park Enrichment Grant. 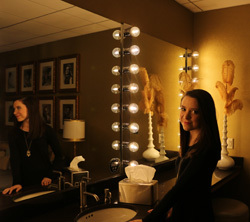 Cannon interned in the marketing department, where she was responsible for spreading the word about the Opry through both traditional and digital promotions. She wrote copy for social media posts, radio reads, and in-show announcements, and updated content and show calendars on the Opry’s website and mobile application. She was also involved with various events and onsite promotions, including the CMA Music Fest where she’d volunteered the year before. One of her favorite parts of the job was photographing performances and backstage happenings for the Opry’s Instagram and Twitter accounts, each of which reaches hundreds of thousands of followers. In addition to her internship, Cannon completed another course, music publishing, at Belmont University. Now a junior, Cannon has taken her UAB leadership to the next level by serving as executive vice president of the organization. She had the chance to apply much of the knowledge she gained from her Grand Ole Opry internship earlier this year when planning PackHowl, NC State’s sold-out Homecoming concert. Cannon played a key role in all aspects of the production, from selecting the venue and artist (singer-songwriter Tori Kelly), to managing ticket sales and event volunteers. While a career in the music business once seemed to Cannon to be unattainable, she has positioned herself well for a future in this industry. After graduation, she plans to relocate to Nashville to pursue a career in either artist management or music publishing.